Copywriter and editor by day, brooding writer by night, Yusra Badr is starstruck by words. Her new book; Unsaids and Undones, was released in August 2018 and is available for purchase on Kotobna.net and Jumia.com.eg. Yusra published her first book in 2011, titled It’s All In My Head. The book was a series of thoughts or, as she calls them, “amateur philosophies” that portrayed her probing questions about life at the time. A copywriter and editor since 2005, Yusra spends her days among words, then continues to do that through the night. Early in 2018, Badr inaugurated The Eloquents; a boutique copywriting and editing agency and is its Chief Wordsmith. Yusra is currently working on her third book which she describes as a series of short stories that she has been compiling and writing for years. 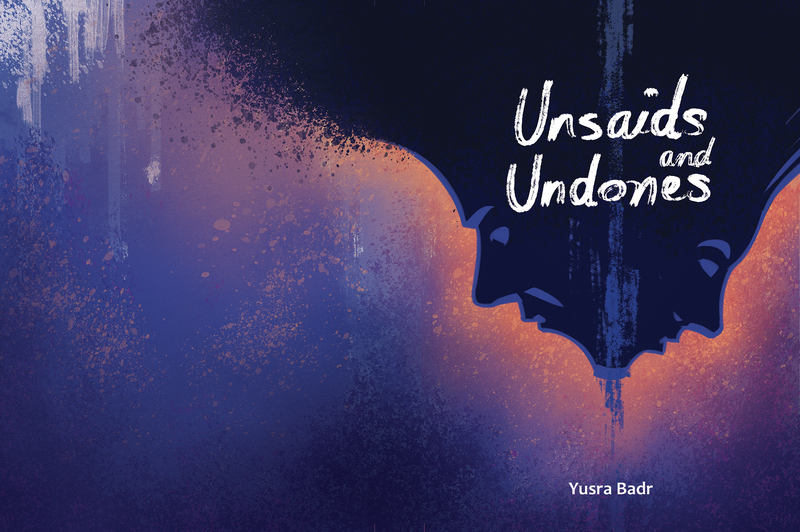 Unsaids and Undones is a book about silence. It is a series of one-way communications and impregnated words that are left unshared and that have their inevitable consequences. Told from the perspective of a woman and a man, the book may be read as one, consecutive story or a series of isolated conversations with the self. Whichever way you choose to see it, you will uncover things you wished you had said but did not, and how they affect you. You may even find your own stories in there. Available for purchase on Kotobna.net and Jumia.com.eg.